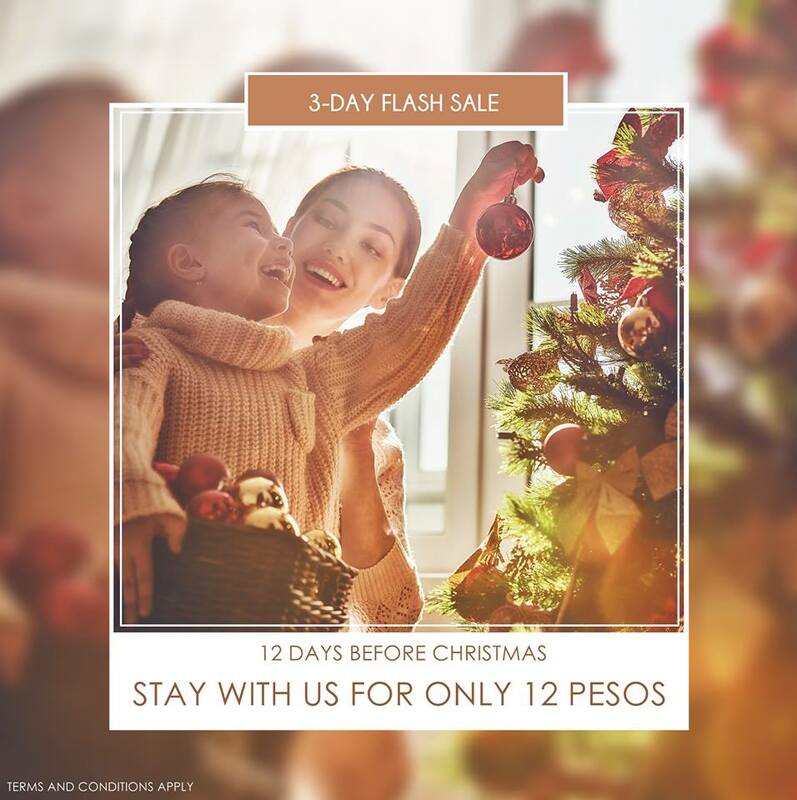 Check out Pan Pacific Hotel's Flash SALE / Book & Buy Promos happening on December 13-15, 2017! 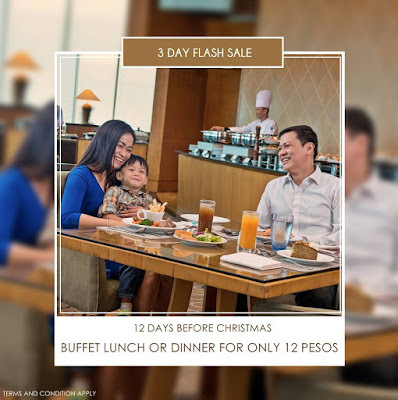 Book a staycation, lunch or dinner buffet, or buy Holiday Hampers FOR ONLY 12 PESOS! ON DECEMBER 13-15, 2017. Book a seat for 2 at Pacific Lounge and pay only P12.00 for the 3rd dinner. That's almost buffet for 3, for the price of 2! Buffet is priced at P1,000 for lunch and P1,300 for dinner. For reservations, please call (02) 318 0788 or email fb.ppmnl@panpacific.com. Brighten up your Christmas table and bring home a spruced up Holiday Hamper. Check out Pan Pacific Hotel's Holiday Hamper Promo! 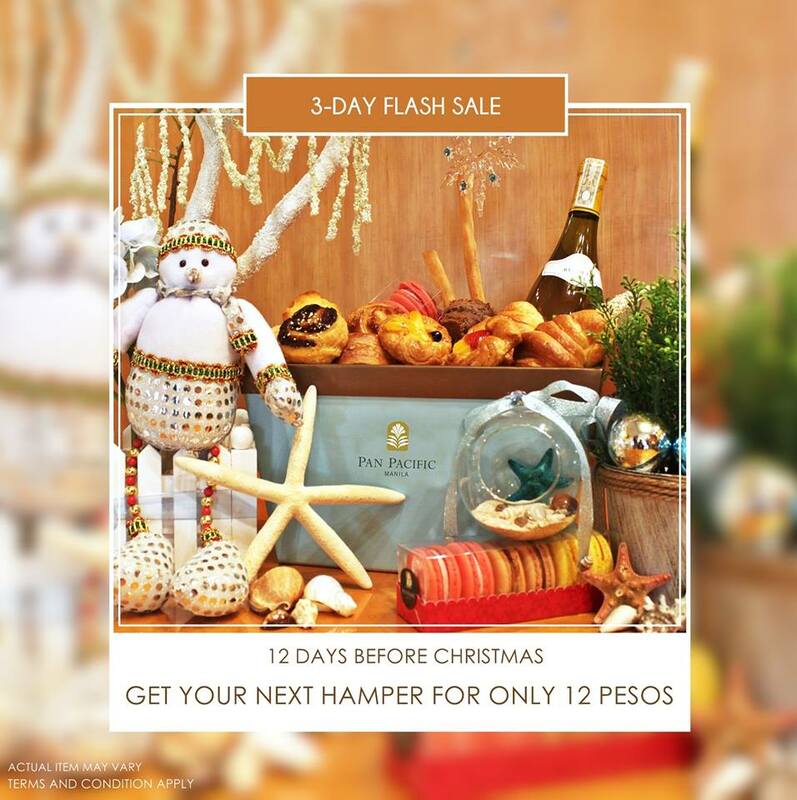 Order 4 Holiday Hampers from December 13 to 15 and enjoy your 5TH HAMPER FOR ONLY 12 PESOS. A Classic Hamper is priced at P1,988, and a Special Hamper at P3,988.